Okay I am going to confess to you. I have never in my life had authentic Mexican Corn. I have only had the kind of corn you find in a can. It’s not that bad, right? Well where I live you do not find Mexican Corn (aka Mexican Street Corn) or anything like that so I just have not had the opportunity to eat it. It does look super delicious by the way! I will say that I have seen lots of recipes online and wonder if they are close to being authentic or not? As you will see later on this is not authentic. 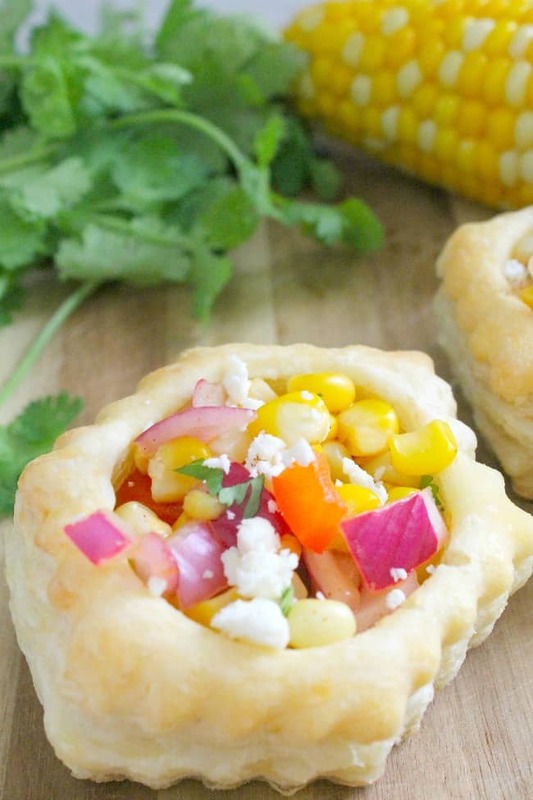 It has some of the same flare as Mexican Corn but it is missing the mayonnaise and the traditional cotija, which sounds divine! 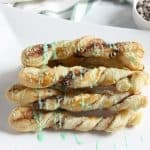 If you are looking for a homemade version of what you typically find in the can then this is your place! I used all fresh ingredients to make this particular side dish that will knock your socks off! I decided to go with this version because I basically had all of the ingredients in the house and it was super easy to make! One special touch I made to this was that I baked my corn on the cob in the oven while I worked on getting the other ingredients chopped and put together! 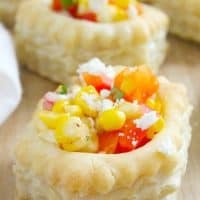 I used red peppers, purple onions, chili powder, a dash of lime and feta cheese but, of course, the main star is the puff pastry cups! 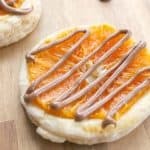 I’ve only use the puff pastry cups one other time when I made you these Chocolate Amaretti Mousse Cups Recipe, which I know you loved! This time I thought I would go with something savory! 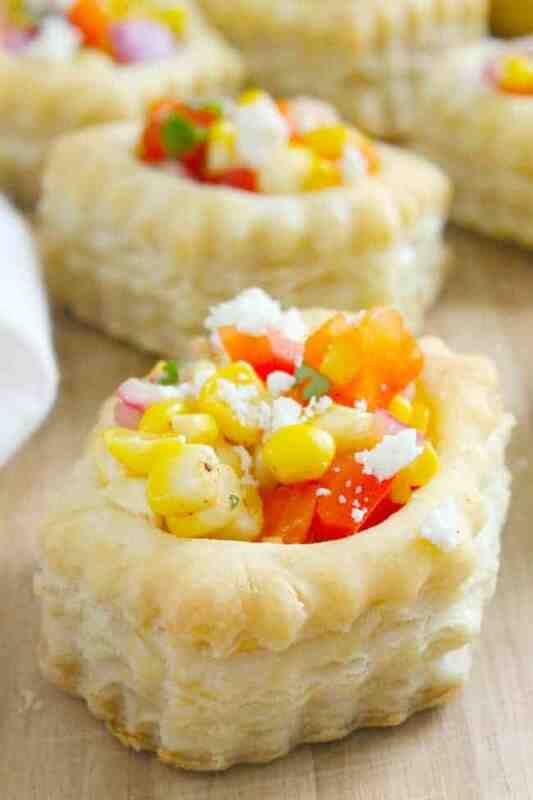 Hope you like this Mexican Corn Pastry Cups Recipe! Don’t forget to add dessert to your meal! 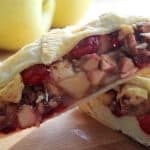 I recommend this Apple Blueberry Galette and these Chocolate Chocolate Pudding Cookies! ENJOY! 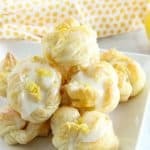 Preheat oven to 400 degrees and cook puff pastry shells according to directions on package. When shells are done, allow to cool. Set aside. Place each ear of corn on a sheet of aluminum foil. Drizzle with olive oil. Wrap up and place in oven to cook for 35-40 minutes. Set aside and allow to cool completely. When corn has cooled, cut corn from cob. Place in bowl. Add onion, chili powder, lime juice, bell pepper to bowl. Mix well together. 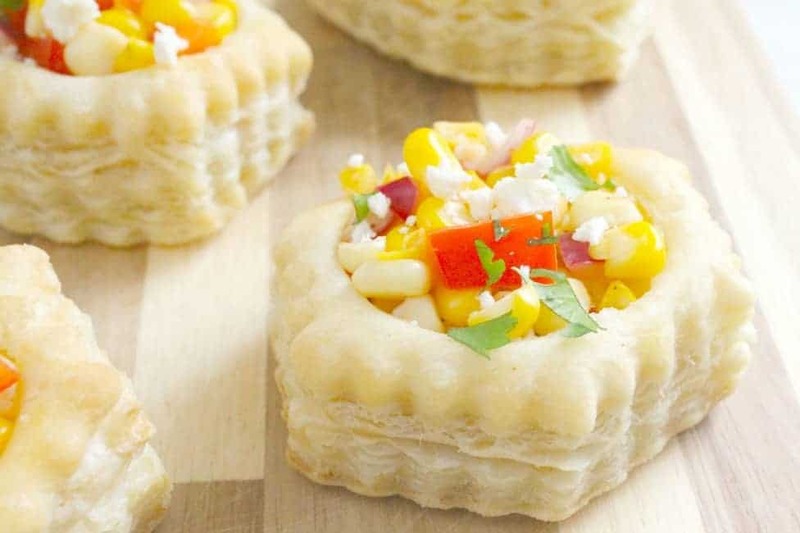 Spoon into pastry shells. Top with feta and cilantro. Serve and ENJOY!